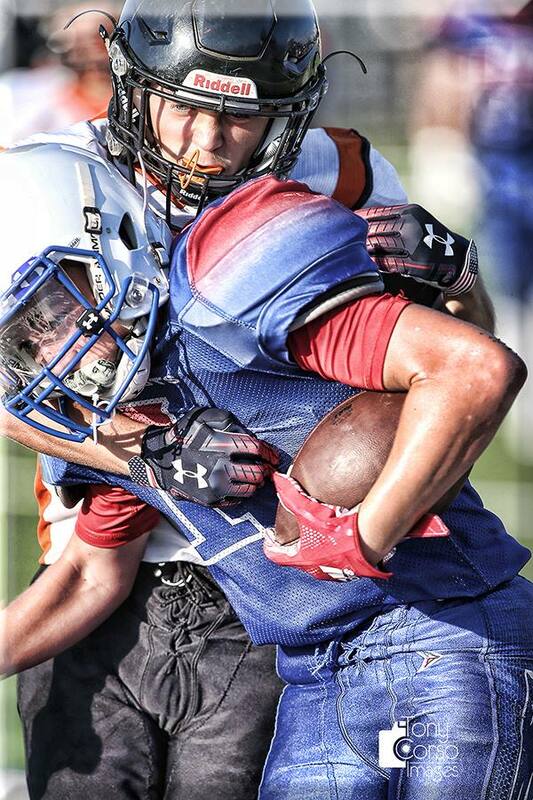 Photo by Tony Corso tonycorsoimages.comAugust 31 means high school football is finally back. Paris High will face Pleasant Grove at home on 101.9 KBUS. While North Lamar hosts Pottsboro on Mix 107.7. Pregame will start at 7:00 on both stations. Other area games include Chisum at Rivercrest. Prairiland at DeKalb. Detroit hosts Trenton. Honey Grove is at home against Bells. Cooper will travel to Farmersville. And Clarksville will be home against Whiteright. Don’t forget you can get the latest scores 4 times an hour on KOYN 93-9! The Jefferson Bulldogs invaded Pirate Stadium in Pittsburg last and brought a speedy offense and an impressive pass rush. Jaylon Jimmersom had 244 yards rushing for Pittsburg but was sacked six times on the night. Jefferson’s offense rushed for 347 yards and Bulldogs’ Dee Black had 197 yards rushing and three touchdowns. Pittsburg is back at home next Friday against Pine Tree. Also, last night Hughes Springs beat Hamshire-Fannet, 16-13. It’s night number two for the opening week of high school football tonight. The Mt Pleasant Tigers will host Wylie East at Sam Parker Field with a 7:30 pm and will be broadcast on KLAKE 977. First-year head coach Triston Abron takes Paul Pewitt on the road to New Boston tonight. You can hear that game tonight on STAR 969. Also tonight, Sulphur Springs at Frisco Wakeland on STAR 959, Daingerfield at Gunter, Gilmer at Atlanta, Mt Vernon will host Bonham and Paul Pewitt is at New Boston—That game will be broadcast on STAR 969. The top-ranked Texas A&M Commerce Lions began their 2018 season last night. Trailing 16-0 early in the third, the Lions outscored Texas A&M-Kingsville 23-7 to force OT. The Lions won the game in Two Overtime’s 37-36. Kingsville failed to convert an extra point on their second Possession. While the Lions were successful in theirs. The Cowboys finished the preseason 0-4 after a 14-6 loss to the Texans Thursday night. The starters didn’t play and the quarterback play was sloppy on both sides. Cooper Rush finished 14 of 25 for only 83 yards. He also threw two interceptions in the game. And the Rangers are back on the diamond tonight against the Twins on 1490AM and 96.3FM KPLT. Pregame at 6:30. First pitch at 7:05. In the final night of NFL Preseason games…………..
Elvis Dumervil, who recorded 105.5 sacks during his NFL career, has decided to “step away” from the NFL to focus on his family and a business venture, he announced Thursday on Twitter. Dumervil was selected in the fourth round of the 2006 draft by the Denver Broncos, with whom he spent seven years; he missed the 2010 season because of a torn pectoral. He also played four seasons with the Baltimore Ravens before joining the San Francisco 49ers in 2017. The defensive end was a five-time Pro Bowler, a two-time All-Pro selection and led the NFL with 17 sacks for Denver in 2009. Dumervil set the Ravens’ single-season sacks record with 17 in 2014 and ranks 26th on the NFL’s all-time sacks list. Two-time All-Star David West, who won two NBA championships with the Golden State Warriors during an NBA career that lasted 15 seasons, announced his decision to retire Thursday on social media. The 38-year-old West was part of the Warriors’ title-winning teams the past two seasons. He also played for the New Orleans Hornets, Indiana Pacers, and San Antonio Spurs during his career, averaging 13.6 points and 6.4 rebounds. An arbitrator is sending Colin Kaepernick’s grievance with the NFL to trial, denying the league’s request to throw out the quarterback’s claims that owners conspired to keep him out of the league because of his protests of social injustice. Kaepernick’s lawyer Mark Geragos tweeted a picture Thursday of a ruling by arbitrator Stephen B. Burbank. The NFL declined a request for comment. Kaepernick, who led the San Francisco 49ers to a Super Bowl appearance and NFC championship game in consecutive seasons, argues that owners have colluded to keep him off any NFL roster since he hit free agency in 2017.